HEYO! Who wants some MAYO?! I could eat it all DAY-O! Once I started really paying attention to ingredient lists on packaged food, I changed my mindset about consuming junk I couldn’t pronounce. Although things like malto-emer-elixor-grennentide-alto-xytiol were scary enough (ok I totally made that up, but I’m really not that far off), the addition of refined sugar and sketchy cooking oils completely turned me off. I love me some mayonnaise, but when loaded with things like beta carotene, maltodextrin, modified food starch, potassium sorbet, canola oil, soybean oil, and sugar, I think I’ll pass. Hence why I make my own mayo. Not only is it easy to create, it’s made with things I can pronounce! 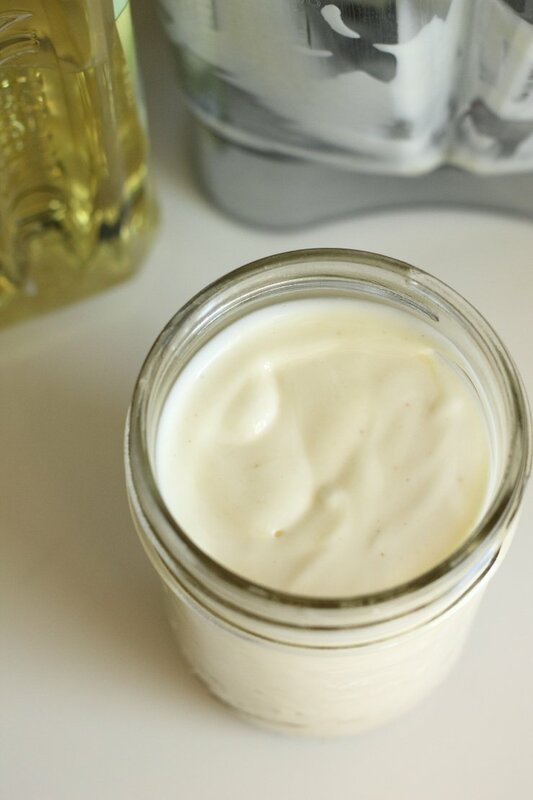 Here is my easy, homemade paleo mayonnaise recipe. I keep a stash of it on hand at all times to make easy lunches like tuna salad, chicken salad, deli meat wraps, and my smoked salmon avocado deviled eggs. Check out the recipe below for mayo that will blow your mind! Drizzle the olive oil very slowly while blending or mixing in order for the egg to emulsify. The end product will be a thick cream which will thicken over time in the refrigerator. Store in an airtight container or glass jar in the refrigerator for up to 2 weeks. Thanks for sharing, I’ll have to try this! Oh my. I had no idea it was this easy to make. I will be trying this. Super easy Debbie! As long as you incorporate the olive oil slowly. Thanks for stopping by! 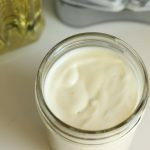 I was so curious about what Paleo mayonnaise looks like and it looks like a tasty recipe! Much healthier ingredients than regular Mayo! Totally! Thanks you Tirralan. 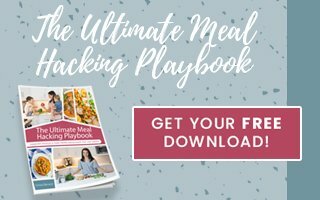 I hope you love this may recipe at first taste! I don’t know much (ok anything) about paleo. I assume a homemade mayo would be since its natural, unprocessed ingredients. Never made it so will try it out! Exactly Matt! Definitely give it a whirl – it’s great to be able to make your own condiments like this, and know exactly what you are consuming! My husband has issues with vinegar in condiments and what not. 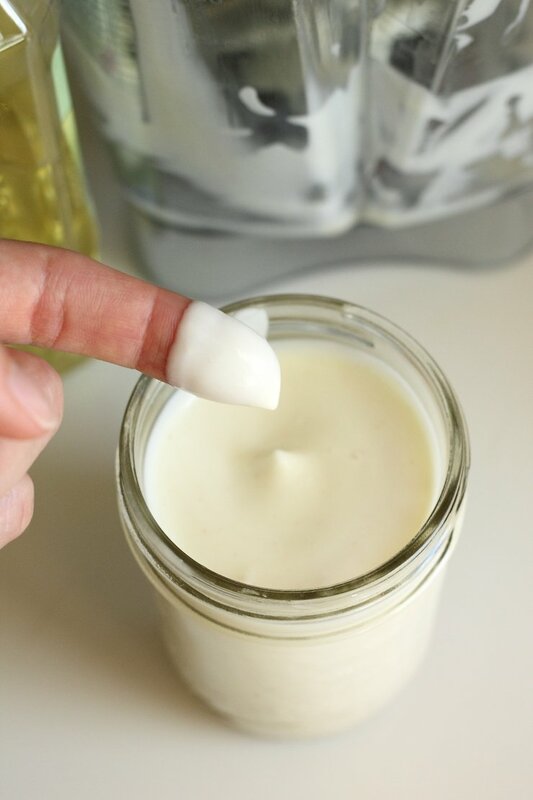 Do I have to add vinegar to this mayo? Hi Aleshia – I have never made it without the vinegar. However, you might be able to sub the vinegar with pickle juice or extra lemon juice. It just might give a different flavor that traditional mayo. Let me know if you try it! Are you able to use coconut oil, and apple cider vinegar instead of white vinegar and olive oil? I have made some but saw your recipe and it looks much more yummy! I would not suggest coconut oil, because it will get hard in the refrigerator. But you could use avocado oil (which I’ve heard works great too). And yes you could sub white vinegar for apple cider vinegar! It may have a slightly sweeter taste, but I don’t think that’s a bad thing 😉 Thanks Jackie! Hi there, I tried this twice. This first time it didn’t emulsify. I thought maybe I poured the EVOO too quickly. Just tried again. Halfway through it was emulsified but after adding the rest of the oil it’s all runny. Are the ingredients correct? Olive oil isn’t cheap so I’m bummed. Hey Jessi – sorry to hear that. I KNOW how frustrating it is!! Ok a few things- 1. you definitely have to pour in the EVOO extremely slow. 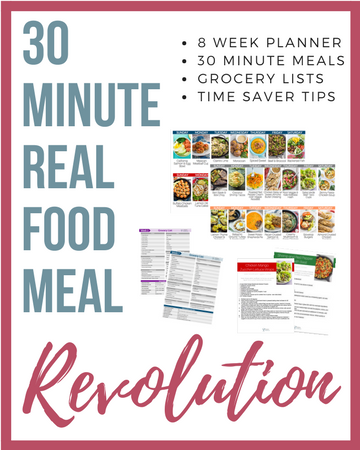 Like the slowest drizzle of your life 2. make sure you are blending long enough – it make take a few minutes 3. are you using an immersion or high-powered blender? Sometimes if you use the cheapy mini chopper food processor it won’t work 4. it will thicken as it’s refrigerated. Let me know if any of this helps!! 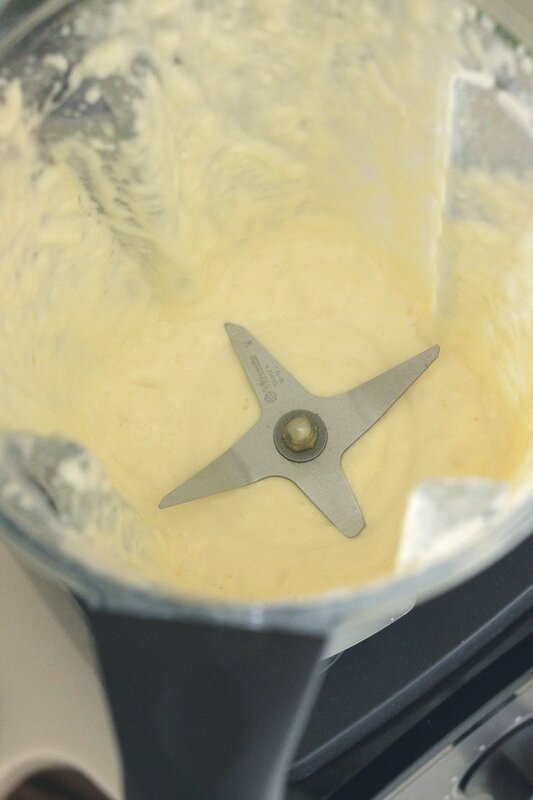 Garlic mayonnaise. How is this different from an Aoli?